IBPS Office Asst (Multipurpose) Admit Card 2018 Download. IBPS Admit card/Hall Ticket/Call Later can download at www.ibps.sifyitest.com Website. Institute of Banking Personnel Selection have released the Hall Ticket for the recruitment of IBPS Office Asst (Multipurpose) Examination which will be held on 19.08.2018, 25.08.2018 & 01.09.2018. Applied candidates who are waiting for the admit card of IBPS Office Asst (Multipurpose) exam can download the hall ticket now. In this page, explains how to download the admit card for IBPS Office Asst (Multipurpose) examination in step by step process. The IBPS is scheduled to conduct Office Asst (Multipurpose) written exam on Office Asst (Multipurpose). 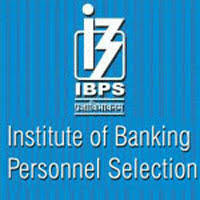 A huge number of candidates who are looking for the jobs applied for the IBPS Office Asst (Multipurpose) Recruitment. All the candidates who had applied are searching for the IBPS Office Asst (Multipurpose) admit card as it is the crucial document to carry for the exam and contains details regarding exam venue, roll number etc. Candidates who had applied can IBPS download Office Asst (Multipurpose) hall ticket from the direct link provided below. Candidates are required to download IBPS Hall ticket before 7 to 10 days Prior to Exam Date. 2. Click on the ‘IBPS Office Asst (Multipurpose) Call Letter 2018’ link. Institute of Banking Personnel Selection is a recruiting body, having the main role of holding recruitment examinations every year. IBPS has announced to download the Hall ticket/ Admit Card for Office Asst (Multipurpose) Exam. IBPS Office Asst (Multipurpose) Examination which will be held on 19.08.2018, 25.08.2018 & 01.09.2018, IBPS Office Asst (Multipurpose) Hall Ticket 2018 will be distributed only to the candidates, who had previously updated their personal and professional details in IBPS website.